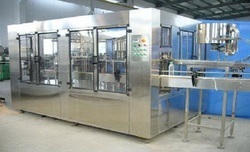 Prominent & Leading Manufacturer from Ahmedabad, we offer mineral water bottling plants, mineral water packing machine, packaged drinking water plant, water bottle filling machine, automatic bottle rinsing filling & capping machine and 1 ltr mineral water filling machine..
We are providing Mineral Water Bottling Plant.We believe in developing good business relationship with your reputed company. We are looking forward for your positive and prompt response from your end.Mineral Water Bottling Plant is Skid Mounted System and can be Installed at anywhere with water Inlet. 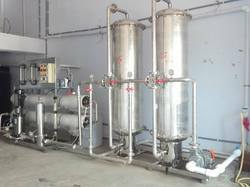 This system consists of Raw water Pump Is Take Water From Water Tank And Give to Sand Filter And Carbon Filter, Pressure Sand Filter Is Removes Turbidity, Activated Carbon Filter Removes Smell & Color, Antiscalant Dosing Worked For The Reverse Osmosis System So With The Help Of That Membranes Not Chock Up., Micron Cartage Filter Is Used For The Remove Heavy Particles Which Comes From The Filters., HP pump Is Provide Pressure To Membranes and R.O. Membranes Is Remove Heavy TDS. Hardness, Alkalinity, Iron, Etc. with Pressure Vessels and sophisticated Instruments with Programmed Control Logic for its full proof Operation. System Include the Electrical and Instrument Control panel PLC Base on Skid. We Provide Stainless Steel Storage Tanks with Micron Cartage Filtration for Fine Polishing of semi treated water after Mineral Adding. The Mineral rich treated water pass through the Ultra Violet System to theOzonation Re-Circulation tank. The Tanks are with its Stainless Steel pumps and Level Indicator and Controller. We are the leading manufacturers of Mineral Water Packing Machine. After manufacturing and supplying the highly appreciated Mineral Water Packing Machine, we have become the leading manufacturers and suppliers to export mineral water packaging machinery to European countries. This machine is ideal for mineral water packing, but can also be used practically for other carbonated drinks. We have used highest quality of raw material to make it durable for our clients. Jar Filling Capacity (Jars/Hour) 120 to 240 Jars per hour. 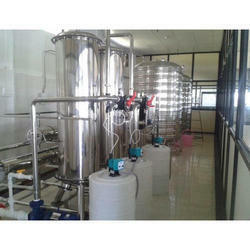 We are offering Packaged Drinking Water Plant to our client. This plant is fabricated using the latest equipment and cutting-edge technology in order to meet the international quality standards. Our offered plant is widely used for the packaging of drinking water bottles. Our team of quality controllers duly inspect this Packaged Drinking Water Plant on various aspects to rule out the possibility of any finishing flaw. Allpack Engineers is the leading manufacturer for Water bottle Filling Machine in Ahmedabad. We can fill 24 to 60 Bottle per minute by this machine. We offer our client highly efficient Water Bottle Filling Machine (24 BPM Specs). The offered machine is manufactured in adherence to international quality standard by utilizing high grade components and cutting-edge technology. This machine is stringently tested on defined quality parameters by our quality controllers before delivering it to clients. 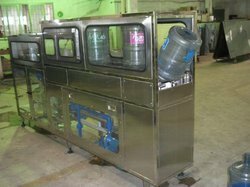 Furthermore, clients can avail this bottle filling machine 24 BPM specs from us in various technical specifications at reasonable prices. By keeping track with the market development, we are offering optimum quality Automatic Bottle Rinsing Filling & Capping Machine. 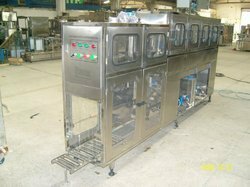 The offered filling and capping machine is suitable for the applications like juices, petroleum jelly, pharmacy syrups, drinking water, paints, strainers, perfumes, flavoured milk, dahi, adhesives, lube oils, coolants etc. 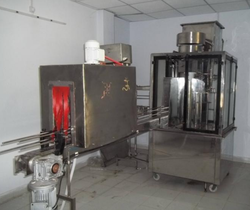 Moreover, this filling and capping machine is highly appreciated in the market owing to its varied quality features. 1 Ltr Mineral Water Filling Machine offered comes with advanced filling process adopting micro-pressure technology for making filling process faster and more reliable. 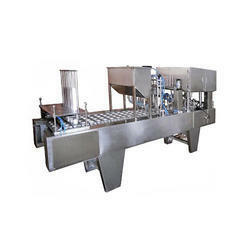 20 Liter's Jar Rinsing Filling Capping Machine offered comes precision designed according to requirements of buyer's. With a precise understanding of the relevant industry, we introduce ourselves as the leading manufacturer, distributor and supplier of 20 Litres Jar Filling Machine. 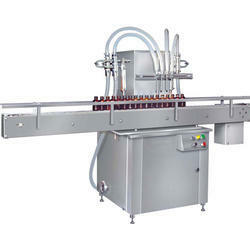 The filling capping machine is applied filling and stoppering and capping glass bottle, plastic bottle from 20-500ml. Adopted linear type filling ,mechanic way to stoppering,cap putting and capping/screw-capping. Our provided filling capping machine is easy operate and small footprint, easy maintenance and can be connect to other machine into compact producing line. 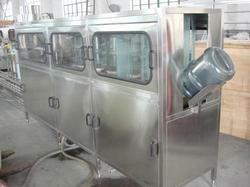 It is used for pharmaceutical, food and daily chemical industry. 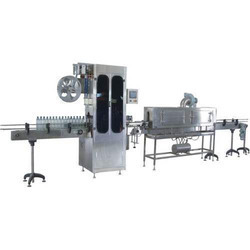 Automatic Jar Rinsing Filling Capping Machine offered feature precision design and construction finish and provides consistent and flawless support in handling of rinsing, filling and capping operations. Finding suitability for use with jars, the system also allows achieving optimum performance at both low/high operating speeds. Some of its features include provides for high operation reliability, system made to undergo stringent tests to ensure consistent performance, available with easy to use interface, modular designs, easy to handle functional interface that allows for less wastages, all machine contact parts made available in SS 316 metal finish so as to provide for optimum functional support among others. 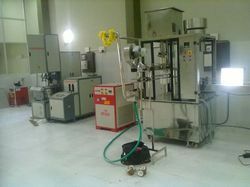 Jar Filling Machine offered comes with pneumatic control for flawless operations. Drinking Water Packing Machines offeredcome with advanced PLC control as well as touch screen support that allows easy handling of working interface. Further, the system is also easy to operate and maintain and is based on advanced flow metering support so as to provide for optimum measuring accuracy. Some of its features include advanced photoelectric tracking system, ultraviolet lamp support for sterilizing of liquid and film, stainless steel based frames for lasting durability, minimum packaging material waste, comes with safety device for stopping of machine on abnormal air pressure, liquid level control device and others. We are the manufacturer of all kind of the packaging machinery which is used in mineral water industries. 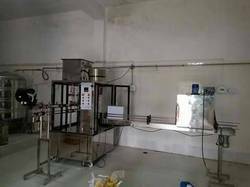 Such as mineral water filtration plant, Bottle packing machine, Pouch packing machine, 20 Liter jar washing and filling machine, Batch coding machine.With the help of our immensely skilled and adroit professionals, we are engaged in manufacturing and supplying Packaged Drinking Water machine. 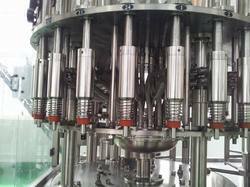 Jar Rinsing Filling and Capping Machine offered feature precision design and construction finish and provides consistent and flawless support in handling of rinsing, filling and capping operations. Finding suitability for use with jars, the system also allows achieving optimum performance at both low/high operating speeds. Some of its features include provides for high operation reliability, system made to undergo stringent tests to ensure consistent performance, available with easy to use interface, modular designs, easy to handle functional interface that allows for less wastage, all machine contact parts made available in SS 316 metal finish so as to provide for optimum functional support among others. 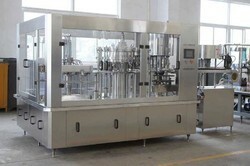 We are offering Liquid Filling Machines to our clients. We are offering Collar Type VFFS Packing Machine to our clients. 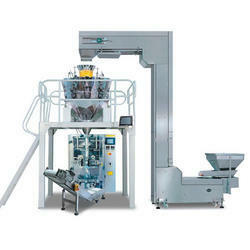 We are offering Automatic Cup Filling Machine to our clients.